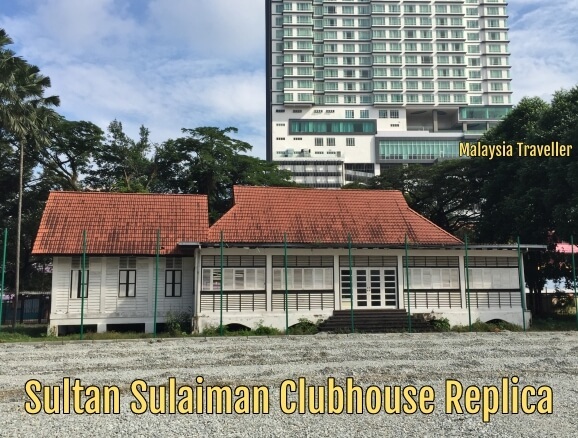 Sultan Sulaiman Club in Kampung Baru has an old style heritage building in its compound. I'm a sucker for colonial-era black and white houses so when I learned that there was one at Kelab Sultan Sulaiman I had to go along and take a look. This building however is not typical. For a start it is not colonial-era. It is recent, built only in 2007, although it is an accurate replica of the old clubhouse which stood here before which was built in 1932 and demolished in 1967. Secondly it was never a colonial building. 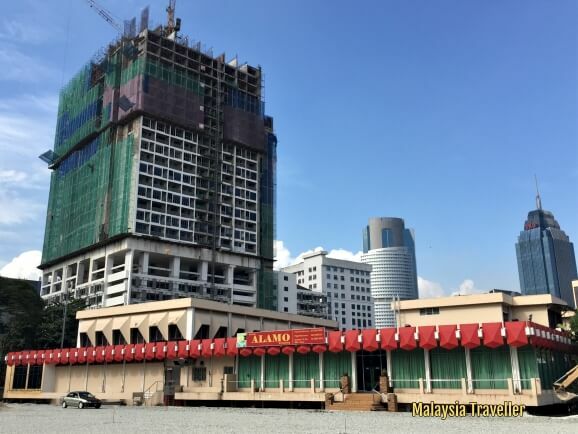 You could say it was anti-colonial since it was built as a clubhouse for a Malay club where political meetings were held which eventually led to the formation of the pro-independence United Malays National Organisation. Architecturally however it was very much in the style of other colonial buildings found all over Malaya during that period. The old clubhouse fell into disrepair and, as mentioned, was knocked down in 1967 and replaced by a modern concrete construction which is still in use, although showing its age. In 2007 the Ministry of Culture, Arts and Heritage appointed a firm of architects to design and build a replica of the old club house to be used as an event space and history gallery to showcase the club's old photos and memorabilia which are of national interest. The architects had no plans to work off but based on old photos of the building and discussions with older club members who remembered what it was like and after studying similar style buildings elsewhere in the country the architects were able to come up with a fairly accurate reproduction. It was completed in December 2007 at a cost of RM 1.2 million and officially opened by the Sultan of Selangor. You can find photos of the newly completed building on this website. As at December 2018. Some TLC required. Since then however, things have gone downhill rapidly in just 10 years. The Heritage Department expected the club to pay for ongoing maintenance but the club, due to declining membership and insufficient funds could not afford to do so. 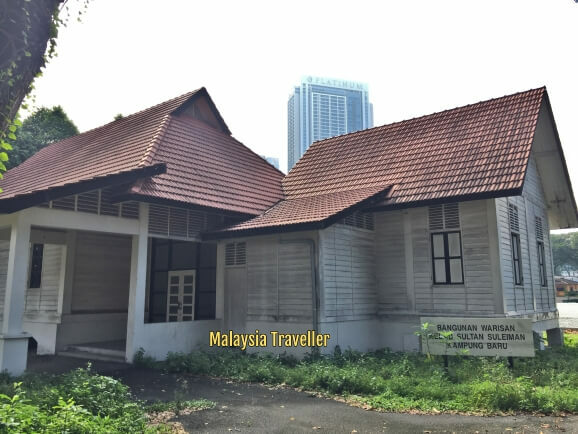 Buildings in Malaysia, especially wooden ones, have to be continually maintained otherwise the ravages of the climate and voracious appetites of wood-chomping insects soon take over, to say nothing of vandals, and drug addicts who apparently took up residence here for a time. My photos on this page are taken in December 2018. I was unable to see inside but from the exterior you can see that the building is in need of repair but it could still be rescued with some TLC and more money. It would be such a waste to let it go. Alamo Restaurant at the Sultan Sulaiman Club. Last stand? As for the main clubhouse, it is looking a bit tired and dated. The old grass playing field is being concreted over, for use as futsal or something similar according to the watchman. Perhaps new sporting facilities will attract younger members. Otherwise, despite its long and prestigious history, the Club might struggle to survive. Maybe it will be redeveloped one day, given its prime city centre location.